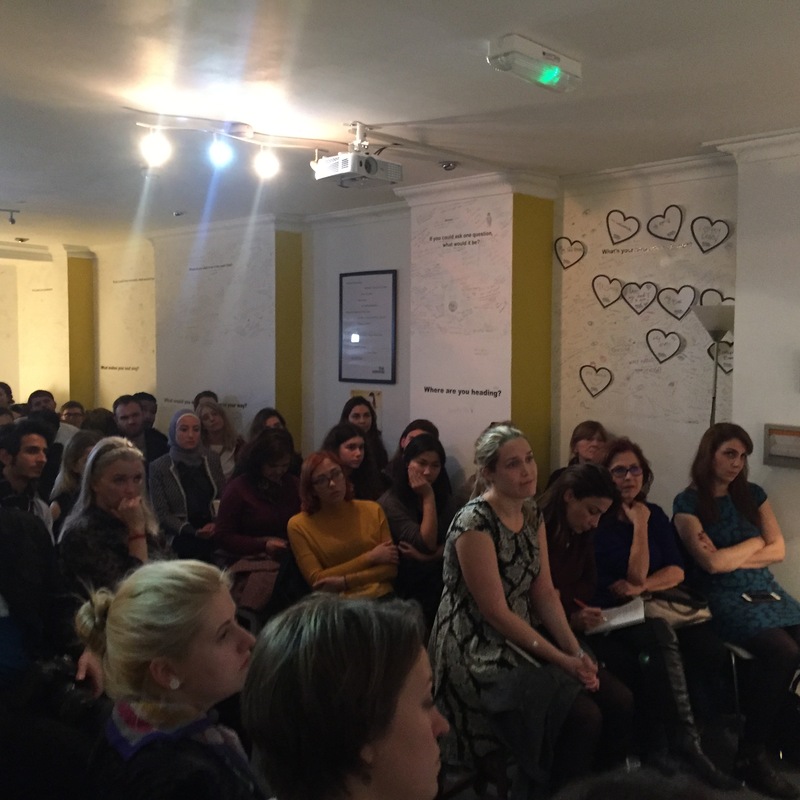 Hikayetna project with the corporation of Tellit Festival launched an event ( Storytelling From Syria ) at Canvas café, Liverpool street last Thursday where three Syrian refugees shared their stories. One poetic story by Amir Darwish when recites poems at the beginning and the end of the event. Full of touching memories they answer where he comes from and what he left behind. While Ahmad Al-ٍٍRashied talking about his life in Syria then in Iraq to face another challenge of seeking a new life through a long journey full of fears and nightmares en route. And lastly came a brief story of childhood memories from Amjad Al-Aswad which was a recollection of a gipsy friend.